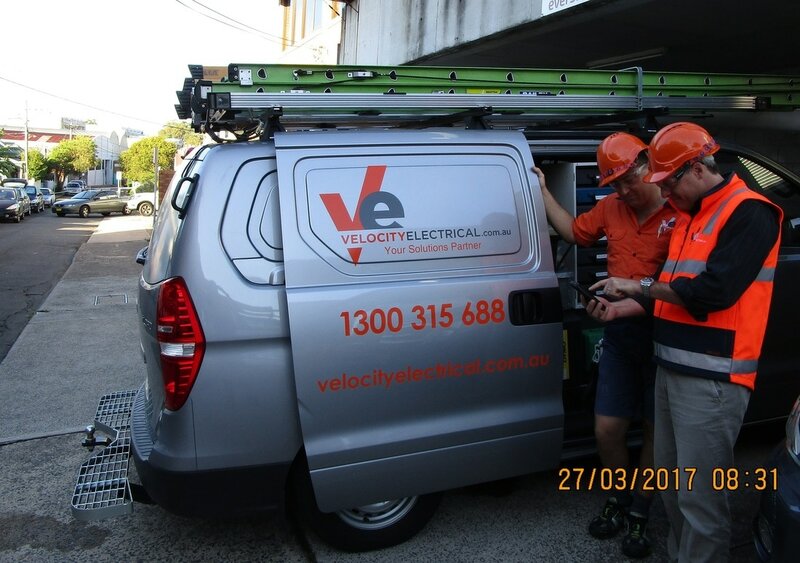 Velocity Electrical is devoted to SAFETY for all concerned. ​All our staff at Velocity Electrical are committed to maintaining high quality and safety standards for all concerned. How does Velocity Electrical deal with WH&S? Velocity Electrical delivers a powerful WH&S - Work Health & Safety - software SOLUTION that allows efficient implementation of quality and safety standards that can be readily audited by our customers without paper trail. This means that we can spend less time managing compliance paper work and more time performing productive activities. Our field electricians efficiently perform risk assessments, JSA's, safe work procedures and checklists from site in real time dramatically improving compliance. Our field electricians have the ability to create custom compliance forms, thereby delivering to you site specific risk assessments, safe work method statements and job safety analysis worksheets. The safety plan component of Velocity WH&S Software enables us to schedule tool box talks, safety walks and other safety procedures, automatically generated in real time, ensuring all activities are performed correctly. All our field electricians use a portable Handheld PDA enabling them to access the internet and report all information in real time, increasing efficient works management. This has been possible thanks to the powerful AroFlo web based management tool developed by AroFlo.